ADRStudio is the ideal partner with Avid Pro Tools for professional ADR and Foley Spotting and Re-Recording. ADRStudio communicates interactively with Pro Tools, extracting information, feeding instructions to Pro Tools and co-ordinating the re-recording session. Pro Tools remains the centralised audio 'deck' whilst ADRStudio controls transport, record in and out times, pre and post rolls, track arming and muting, take management, naming of recordings - and much more. 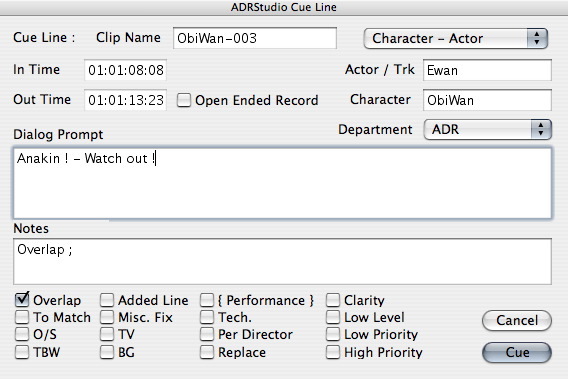 Originally created in collaboration with LucasFilm for StarWars Episode One, ADRStudio has gone on to become the global industry standard solution for ADR in Pro Tools. 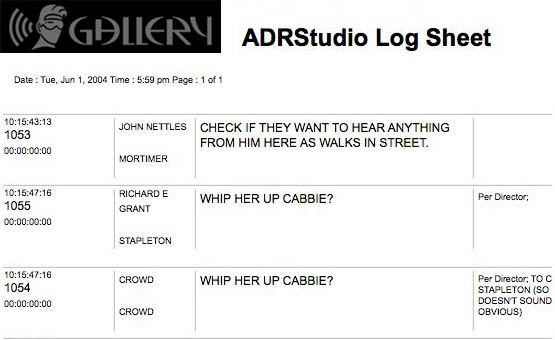 During spotting for ADR, Foley or any other purpose, ADRStudio grabs in and out times from Pro Tools, or from Gallery's VirtualVTR. Users may then enter additional data for the cue including dialogue, notes, and other fields. This information is entered into a comprehensive list where the data can be sorted, filtered, arranged and printed in a variety of formats, or exported as PDF files. 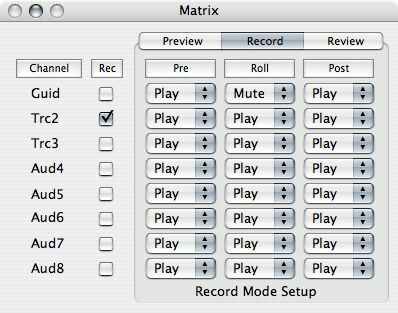 During re-recording ADRStudio controls the session from the script, automating all aspects such as record enabling tracks, muting/unmuting playback channels during the take, automatically naming recordings, and controlling, GPIs, streamers and beeps. ADRStudio even has a Speech Synthesizer to automatically 'call' the take. Import Export to FileMaker Database, and other formats. Instant Preview, Record and Review functions for rapid progress. ADRStudio integrates with all video streamer boxes, including the streamer functions in Gallery's VirtualVTR Pro. Print layouts are based around HTML documents, so customising ADRStudio's paperwork is easy for anyone who can work a web-page design application. Similarly, the GPI event sequence which ADRStudio uses for studio control during re-recording is based on XML scripts which can be edited by end-users to offer any combination of GPI and Midi control to suit your workflow.